The average woman owns £500 in clothing that she has never worn. Don't be the average woman. Our relationship with fashion is unsustainable. Fast fashion brands encourage us to buy frequently and discard quickly. The industry relies on mass production methods, which produces cheap clothing, and trend-led style, which quickly looks dated. 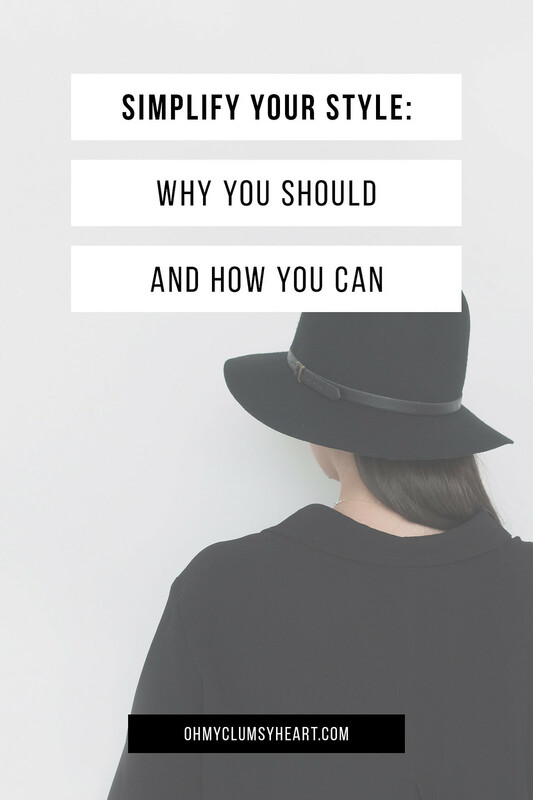 The minimalist approach to fashion is about choosing well, buying less, and rejecting trend-led style. 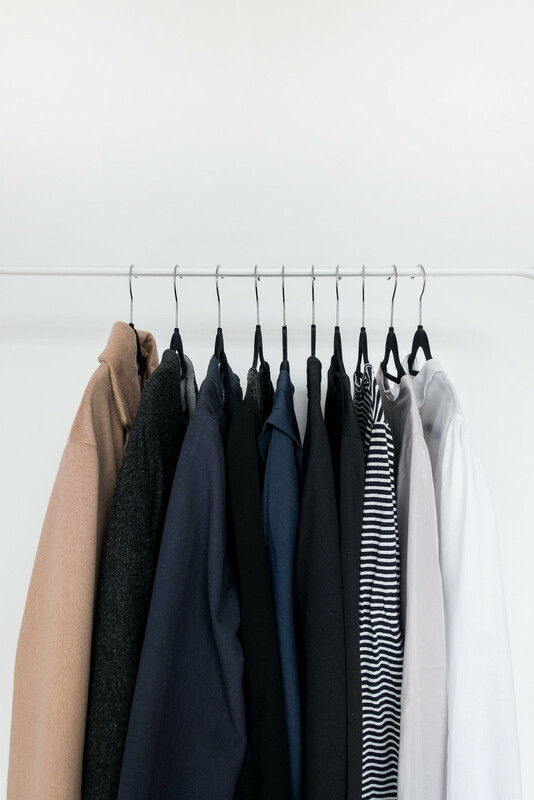 Simplifying your wardrobe means more space, less money spent, stress-free mornings, increased productivity, more compliments and endless confidence. Simplifying your wardrobe means purchasing fewer items of higher quality. The result is you'll look better, feel more confident, and develop a unique sense of personal style. The goal of simplifying your style is packing your wardrobe full of intentionally picked, cohesive items in timeless versatile styles. Getting dressed becomes less stressful and more effortless, and identifying your personal style will boost your confidence. This is how you can simplify your style. Weed out the clutter. Got items you don't wear? Are uncomfortable? Or make you feel ugly? Get rid of them. You deserve better. Declutter your wardrobe and strip it back to the basics. Keep only what you love wearing and pieces that make you feel confident and comfortable. Editing your wardrobe will help identify what you do and don't enjoy wearing, and help you understand what to look for in future purchases. Dress for the lifestyle you live not the one you wish you had. It's easy to get carried away dreaming of the cocktail parties and art gallery openings you could wear your new dress to but the reality is, if your life doesn't look like that then your dress isn't getting worn. What a tragedy. That doesn't mean you can only wear boring basics; you can still be playful with your style. Just remember to purchase clothes you'll actually wear. Identify the style of clothing you'll need on a day-to-day basis and building a simplified wardrobe will be a breeze. To simplify your wardrobe means being content with less; working with what you've got, developing new outfits from your existing items, and only adding new pieces when you're certain it's the right choice. Being content with less means rediscovering what you already own and making new outfits from your existing wardrobe. 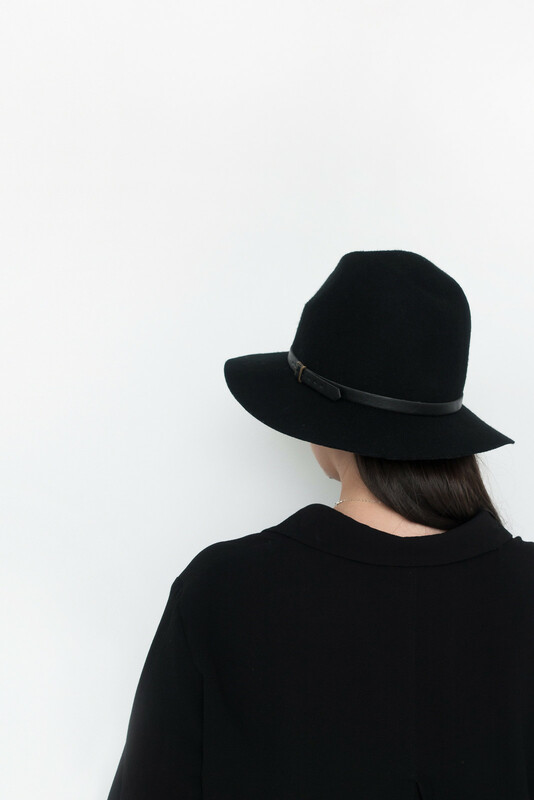 The minimalist approach to style is all about quality over quantity. focusing on versatile pieces in timeless styles. When your wardrobe is stripped back and simplified, paying attention the finer details becomes the focus of your fashion. With neutral colour palettes and staple basics, the accessories you choose to match with your clothes can make or break an outfit. Invest is timeless accessories that reflect your personal style and can be worn everyday. 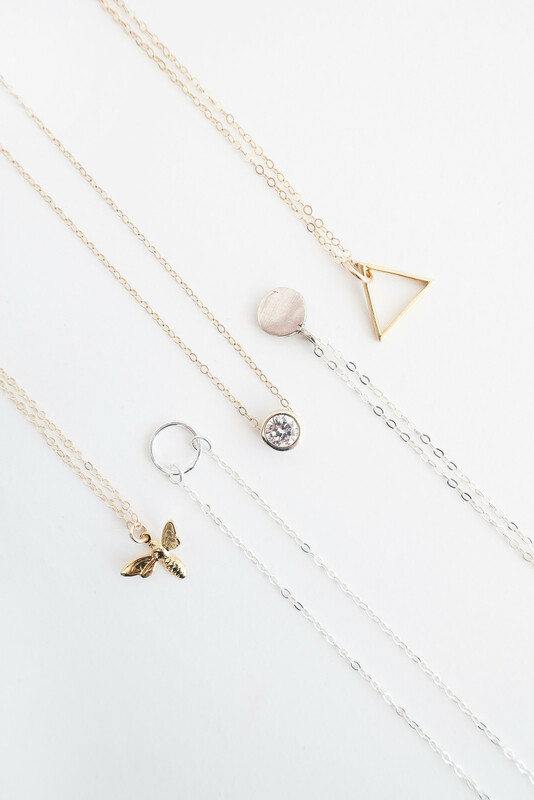 Build a capsule collection of jewellery staples designed to complement your style and complete your wardrobe.